Tested in 3 different scenarios. 1 - initial test. Tested in 3 different scenarios. 1 - initial test. I waited until a storm hit. Temperatures ranged from 35 to 20 F, wind gusts at about 30 mph, dense rain. 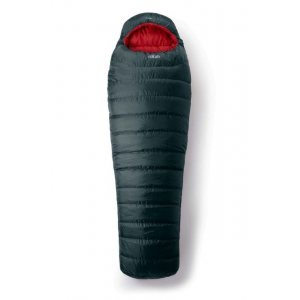 Outdoor Research Advanced Bivy made from GoreTex. I camped in my backyard for the initial test. I used the bivy and no tent. I got in the bag at about midnight. The storm was in full effect. I was soooooo warm I had to unzip most of the bag and vent the bivy. I could see my cat watching me intensely for hours from the glass door facing the yard. At about 3am, I heard meowing from the head end of my bivy. My cat was wet, covered with snow and it seems like he was out there waiting for at least 30 minutes in the storm. So I let the poor thing in, soaked fur and all. He crawled inside the bivy then inside the BigBang. We both slept very well the rest of the night. 2 - ADKS winter storm -6 F 50 mph gusts. About 2000 feet base camp. Inside a expedition tent. Tooooooooo hot! had to leave the zippers open. during the night condensation built up a LOT because I didn't vent the tent enough. Lots of condensation near the head of the bag, but the conduit kept the moisture from getting in. I was dry and warm. 3 - ADKS. Due to bad planning I got stranded on the peak on Marcy. Temperatures 25 to 35 F. Rain and snow. 50 MPH gusts. I set up a emergency shelter with my tarp and bivy. During the night condensation created small pools of water on the floor of the bivy. I was dry, and warm. I slept better stranded on the mountain in my bigbang then I did at home in my bed. This is a well made bag!!!!!! I never used it in -15F, -6F is the coldest, and it was very warm. At -6 F the bag needs to be vented to stay cool. This bag is tough and water resistant. The extra room created by the bigbang feature allows a pet to crawl in when the inner zipper is expanded. 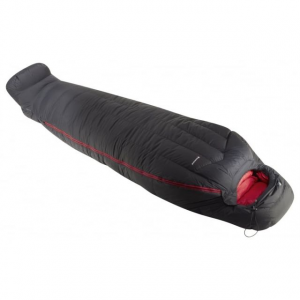 A tarp or a bivy and this bag is all one needs. 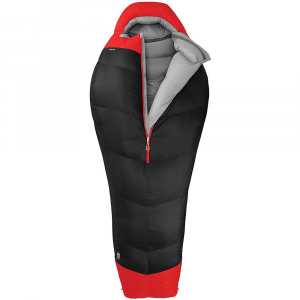 I have slept in over a hundred sleeping bag types, and prior to this one my favorite was the military extreme cold bag. But it weighs 11 lbs and is big, heavy and awkward to backpack with. But, warm and comfortable. 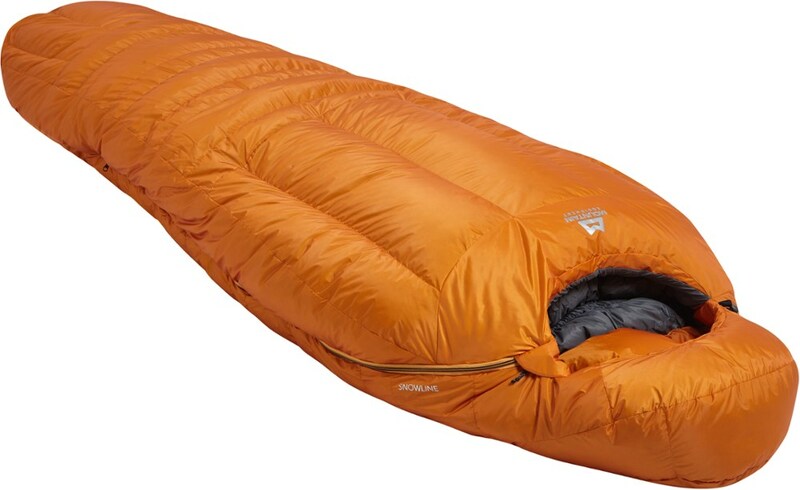 However, because I could not see what could be done to a sleeping bag to make it worth that much, I was not willing to pay $300 + for ANY sleeping bag; this was given to me as a gift. Today, if anything happens to that bag, I won't even flinch at paying $350 for a replacement. Though I have not slept in it to -15 deg. yet, I have tested it 'outside'. to 0 deg. It is the most comfortable bag I have ever slept in. Unlike the military bag, that bunches to your clothing, this bag seems to just slide up and enfold you. Most bags have a few minutes waiting period, that your body must shiver in to warm it up, but not this one. As soon as you're in, you're warm! There was an outing in which I took my two Boxer dogs with me. I woke up in the middle of the night, and despite them having a thick blanket and each other to snuggle to, they were both shivering. I unzipped the 'draft tube' to make more room then unzipped the bag and invited them in enough to just lay a part of the bag over them, with me in it. Their bodies blocked the cold from me and we ALL slept toasty that night. The weight and size of this bag when compressed is quite adequate for backpacking, though as any backpacker will attest, the smaller, the better. 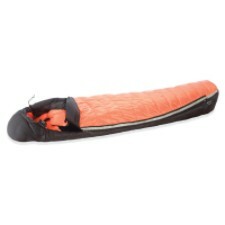 I carry a hammock and ponchos for shelter (as I'm 56 yrs old and can no longer sleep on the ground due to my back) and sleeping in a hammock is true testimonial for a quality sleeping bag, since you have the wind blowing above AND below you. Of course there are ways around that for a seasoned camper, but I have never had to implement them yet. I have nothing but praise for this bag! The Big Bang SL has been discontinued. The Mountain Hardwear Big Bang SL is not available from the stores we monitor. It was last seen August 12, 2008	at Ramsey Outdoor.